The Historical Society of Smithfield frequently receives requests from people researching their family roots as they pertain to the Town of Smithfield, and we would like to assist in any way we can. To that end, we’d like to make researchers aware of the following information. 1) The Town of Smithfield was incorporated in 1730. 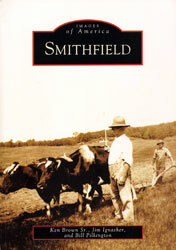 Prior to that, what is today Smithfield was considered the “outlands” of Providence. Therefore, any vital records pre-dating 1730 are kept in the Providence City Archives, not in Smithfield. 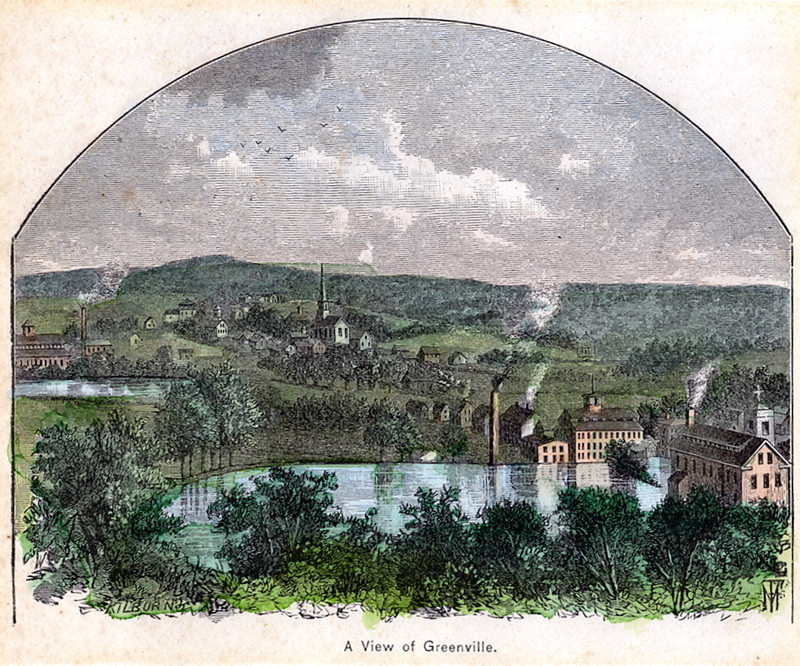 2) When the Town of Smithfield was incorporated in 1730, the town was much larger, and included the present-day municipalities of North Smithfield, Lincoln, Central Falls, and a portion of Woonsocket south of the Blackstone River. Therefore, the birth place and burial site of an ancestor may today be located in one of these other municipalities that are no longer a part of present-day Smithfield. 3) The Town of Smithfield was divided in 1871, and the new municipalities of North Smithfield, (Originally incorporated as the Town of Slater), and Lincoln were established. Additionally, a portion of land in the northern part of the town was deeded over to Woonsocket. Central Falls remained a village of Lincoln when the town was divided. At the time of the division, Central Falls was considered “down town” Smithfield, and was where the Smithfield Town Hall was located. After the division, a new Smithfield Town Hall was established in what is present-day Smithfield. Therefore, any vital records pertaining to Smithfield that date between 1730 and 1870 are kept at the Central Falls City Hall, and not in Smithfield. Any vital records from 1871 forward are kept at the Smithfield Town Hall, not at the Historical Society. 4) Central Falls separated from the Town of Lincoln in 1895, and incorporated as its own municipality. It is no longer part of Smithfield or Lincoln. Researchers need to be aware of these four points to alleviate confusion, for it’s possible that an ancestor was born, and later died, in the same house, but in different towns. Those not native to Rhode Island may not be aware that Rhode Island’s towns were made up of mill villages, and Rhode Islander’s have traditionally identified themselves with these villages. For example, when a person is asked where they live, they might respond with a village name instead of the name of the town the village is located in. When these village names are found in old records it can lead to confusion for the researcher. The following are village names associated with the municipalities that were once part of Smithfield prior to the town division in 1871. The Historical Society of Smithfield maintains an archival collection of varied materials relating to Smithfield history which includes photographs, written documents, and limited genealogical information. As time permits, we have been digitizing our collection and adding it to our website. (See Historic Photos and Historic Documents pages under “Smithfield History”) This is an ongoing project, as new material is always being added. There is also a page on our website dedicated to local history articles that may be helpful to researchers. The Greenville Public Library and the East Smithfield Public Library both contain reference material relating to local history. 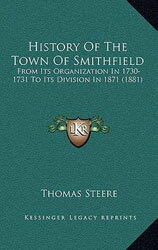 This was the first written history of the town and contains the names of many early town officials, as well as excerpts of old town records, and extensive information about Smithfield’s early manufacturing villages. This book is out of print, however copies can be found at local libraries. Published by The History Press, 2009. 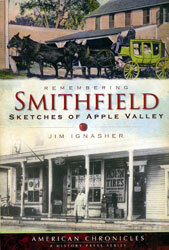 This book covers topics not discussed in Thomas Steere’s book such as the pre-colonial Native Americans who were the first inhabitants of the area, the lost colonial settlements of Hanton City and Fountain Spring, The poor farm scandal, railroad and aviation history, the establishment of the police and fire departments, Smithfield’s apple industry, as well as other information. Published through Arcadia Press in 2008. This book contains vintage photographs relating to the town. This book is also available through local public libraries, bookstores, or through the Arcadia Publishing website.